Though I have heard about particular communities or countries becoming famous travel destinations because of their architecture. Italy, Greece, India are a few examples falling in the latter category. Says Christian Lander, “If you ask white people what they love about cities they don’t live in, they will say “restaurants,” “culture,” and “architecture.” They just can’t get enough of old buildings or ultramodern buildings next to old buildings. …The reason white people love architecture so much is that deep down they believe that they could have been a great architect. They feel the same way about other professions including: professor, writer, and politician. How big can you imagine an open air gallery to be? Well, here you are… 13, 785 sq. km [5130 sq. miles] of painted walls, havelis, palaces and forts in the vast expanse of the desert of Rajasthan in India. Town after town, street after street, home after home has been painted with frescoes depicting characters and stories from Indian mythology, history, vernacular culture and life, erotica, and even imaginary and hilarious depictions of science fiction! This is the Shekhawati region of state of Rajasthan in India. Established and ruled by the Shekhawat rajputs for centuries till independence of India in 1947, it was the largest Nizamat of Jaipur State. With more than 120 villages, 50 forts and palaces, it was definitely the most happening place for architecture and art development. Few of these have been restored or remodeled to be reused as heritage hotels or museum or schools. Others have become obscure or peeled off. Why paint the walls of the towns? Neighboring Marwar region influenced the Shekhawati region a lot. The marwar community was rich, and prosperous. This was the ‘business class’! For over a century between 1830 and 1930, marwaris or the business community made Shekhawati their home, before they started migrating to other parts of India. Family names that are now associated with some of India’s big business houses, originated here. As the ultimate symbol of their opulence, the Marwaris commissioned artists to paint those buildings. Hundreds of these courtyard houses cropped up in the desert landscape, each of them covered inside out with colorful frescoes. This art was kept alive for almost 300 years. Eventually it started falling apart as more and more families from this community started settling elsewhere, and these houses were locked up to ruins. How? 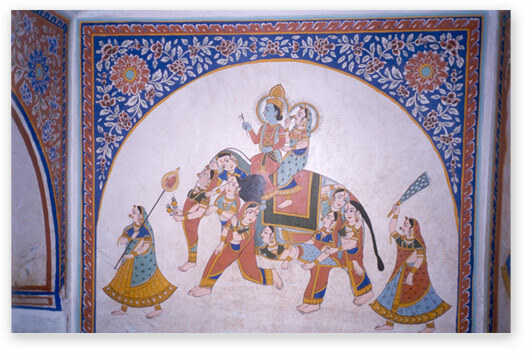 In Shekhawati, the fresco painter or the chiteras belonged to the social class of potters or kumhaars. 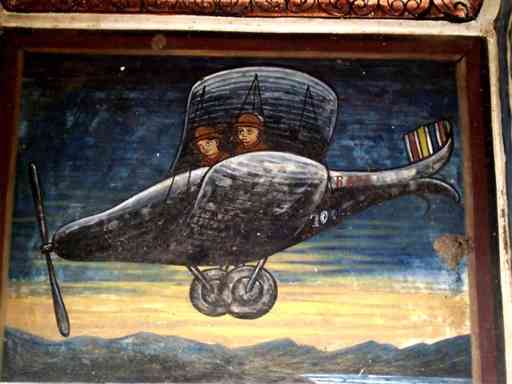 The technique employed for the Shekhawati frescoes was elaborate, and comparable to the Italian frescoes of the 14th century. The colors were mixed in lime water or lime plaster and were then made to sink into the plaster physically through processes of beating, burnishing, and polishing. All the pigments used were prepared with natural and primarily household ingredients like kohl, lime, indigo, red stone powder, and saffron. Cow’s urine was dried up to get the bright yellow! There are instances where these frescoes were complimented with gach [mirror] work and intricately carved wood work. Some merchants and ministers even got the havelis painted in gold and silver. There are havelis which have frescoes which amuse everyone- showing King George and Queen Victoria of England in an Indian landscape! Some even illustrate modern machinery of the times such as airplanes, cars, telephones et al! Photo credits in slide show: Pavan Gupta of Destination India. 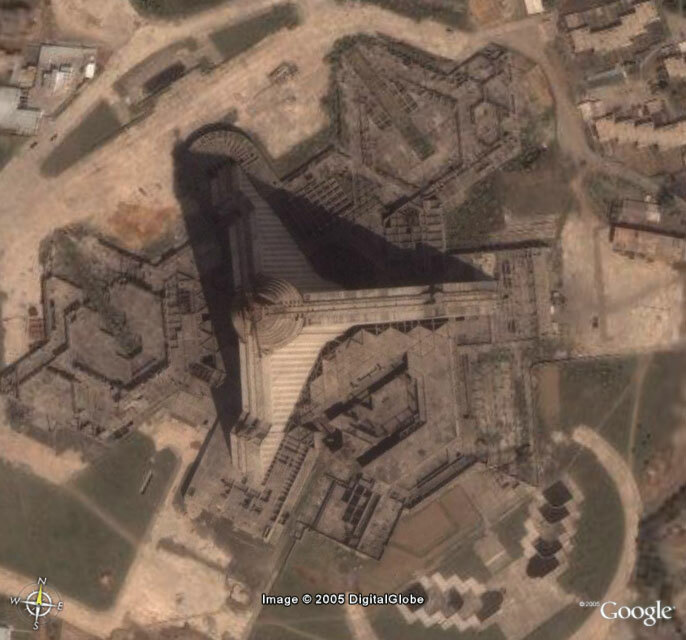 This week while China was in the limelight with its ‘blue box beating with a green heart’- the Water Cube ‘National Aquatics Centre in Beijing’, Korea’s one-hundred-and-five-story Ryugyong Hotel got a severe blow in the architecture world. It was declared the ‘worst building ever’. Esquire says ‘Picture doesn’t lie. Bridge: n. a structure carrying a road, path or railway across a river, road, etc. Origin: OE Brycg, of Gmc origin. 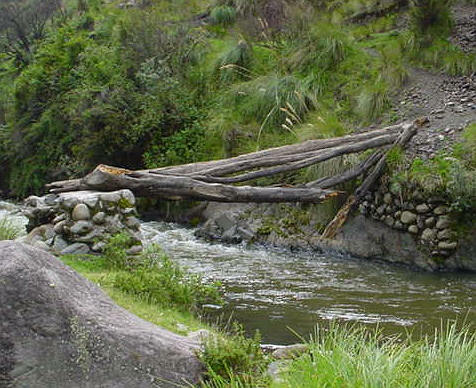 Bridges have played an important role in the history of human settlement. The first bridges were natural, such as the huge rock arch that spans the Ardèche in France, or Natural Bridge in Virginia (USA). The first man-made bridges were tree trunks laid across streams in girder fashion, flat stones, such as the clapper bridges of Dartmoor in Devon (UK), or festoons of vegetation, twisted or braided and hung in suspension found in India, Africa and South America. As the time passed, horses became plentiful; wagons and carriages were available; roads were built. Then it was that the rivers became barriers to transportation. Ferries were established and did very well for a while, but eventually it became evident that bridges must be built. Man has come a long way from tree trunk bridges. While artists and engineers, cities and countries compete to build technological masterpieces spanning across rivers, oceans or connecting cities and countries; people come up with innovative ways of using them. 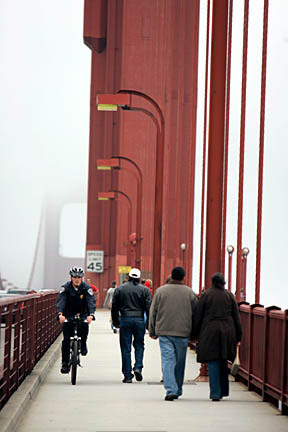 Though designed and built by the Department of Transportation, bridges are a peoples’ domain.